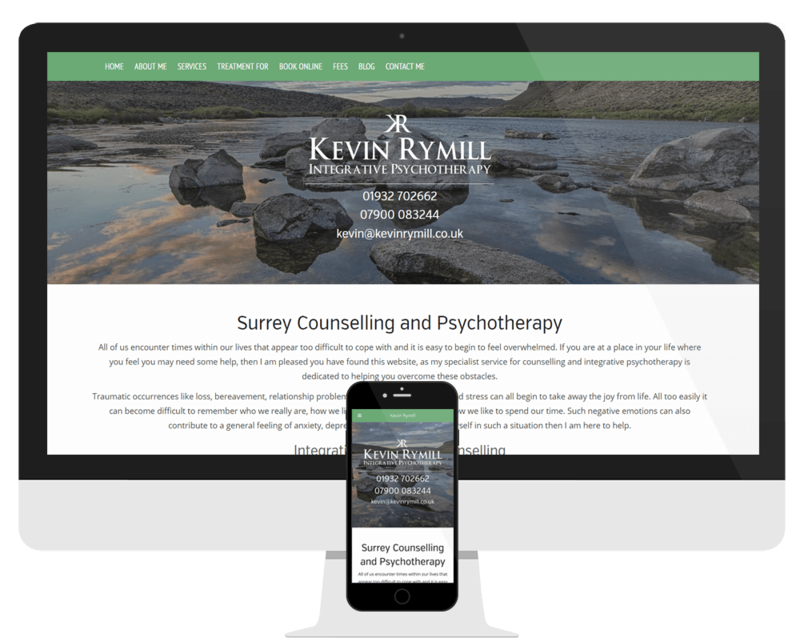 Kevin Rymill is a psychotherapist and counsellor working in the Surrey area. Having provided these services successfully for years, on a face-to-face basis, Kevin was keen to expand his practice outward into online counselling. To achieve this, he decided to take his existing website and have it rebuilt and redesigned, with the addition of an online booking service, as well as details and guides on the practicalities and limitations of therapy in an online setting. Kevin Rymill’s original website, a static HTML site with no admin area, was beginning to look dated, in light of the rise of mobile-friendly web design. While keen to retain the ‘flavour’ of the existing site, Kevin was ready to make the transition to a content management based website, which he could edit and maintain himself. The website was subsequently built using WordPress, with the addition of a sophisticated booking system. This system, syncing with Kevin’s own Google Calendar, allows appointments to be booked and paid for online, while preventing double-booking through the calendar integration. Kevin also requested that a step-by-step guide was created, to help those uncertain of the booking process. This was created with screenshots and instructions, and is accessible from the navigation menu.